Historically Australia’s wood was produced locally, grown in forests, logged and then sent to sawmills that would turn it into the wood products used around the country. A downturn in local wood production led to this Sawmill – One of the largest in the state – shutting down a decade ago. Untouched by nothing but nature, and with a fence that only covered half the property, the old sawmill was a pristine wonderland. Most of the power stations we visit are coal, nuclear or gas fired. 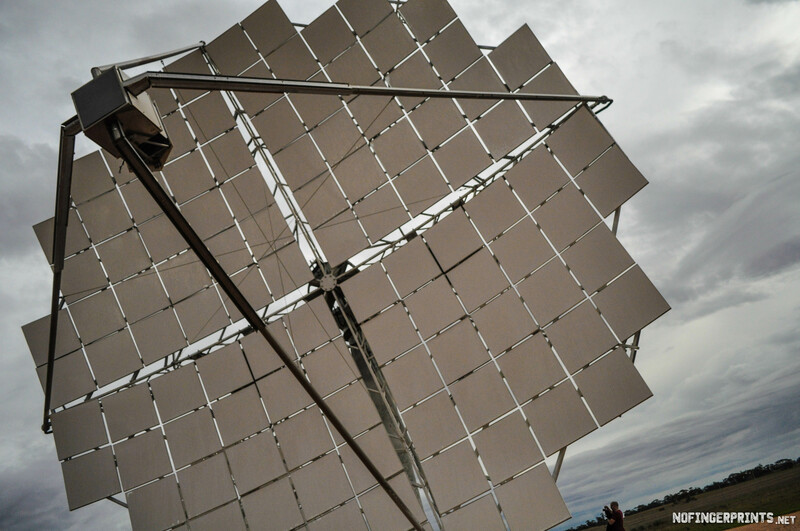 All technologies that have gone out of favour as renewable grow cheaper and more prevalent. 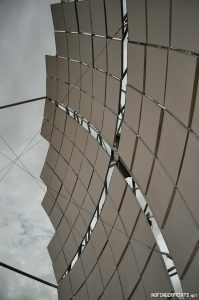 Solar Concentrators track the sun throughout the day, using hundreds of mirrors to focus the energy into a small area, concentrating the power 500 times. 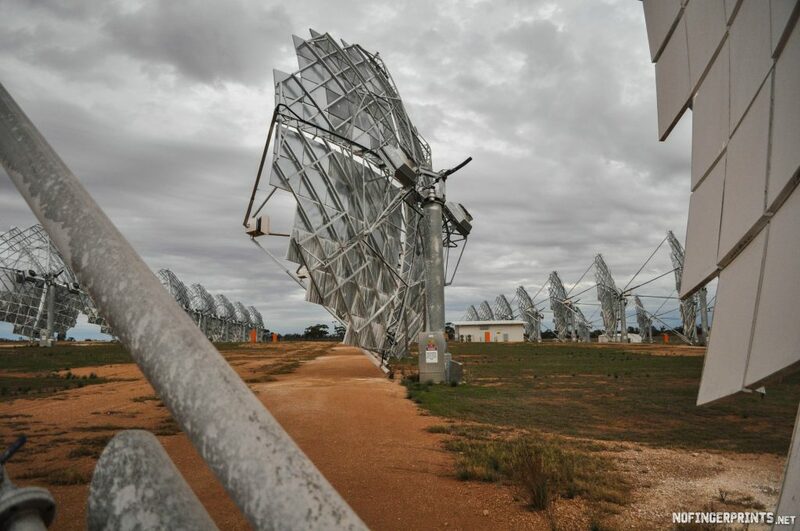 Slated to be the biggest and most efficient solar photo-voltaic power station in the world, somehow this Solar Power Station in Victoria became abandoned. The mirrors painted over, gates shut and forgotten about. Built in the 1950’s in the center of one of the largest towns in the state, the Civic Hall seated 1,500. It hosted numerous well known Australian bands and even the Royals in the 1970’s. The locals are trying hard to get the Civic Hall Revitalized, but for now, it’s unused. We arrived late and set up camp inside one of the dressing rooms and went to sleep. Waking up early we took our time exploring the Civic Hall in the daylight. After we’d taken our photos and made the curtains go up and down until we got bored, we headed out, through the air vent we’d climbed in through. 12 hour underground jaunt in over 40Km of huge abandoned mine works? Sure, why not. In fact, why don’t we just drive in? This mine produced limestone, but limestone that could take a shine. Like a cheap version of marble. Countless monuments and many notable buildings are made of products mined from this site. Later years saw the facility extracting stone, and processed underground in an a unique underground plant. Now it sits quietly in the country side, two giant doors in the side of a mountain, concealing the largest adit we’ve ever seen.